The Professional Branch of the Fraternity is a vast network of alumni of all the collegiate chapters of Alpha Chi Sigma. Involvement means maintaining the fraternal connections you made in college and forging new ones as you continue through your career. Just like your collegiate experience, you get out of the Professional Branch what you put in. Join or found a local professional group or chapter - visit the list of professional groups or chapters to see if there is a chapter in your area to join! If there's not - start one! Contact the Professional Expansion Committee Chair for more information! 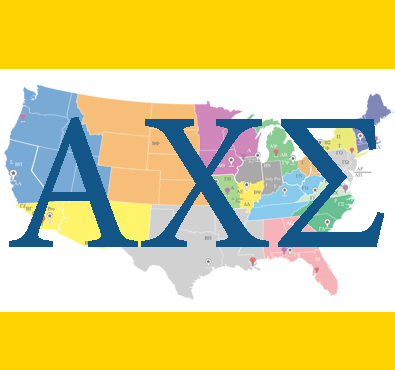 Connect with Brothers in your area - use the Member Directory on our website to find other Alpha Chi Sigma Brothers in your area! You can search by state or zip code to find men and women of the Fraternity! Serve in a leadership role - volunteer your time back to the Fraternity in one of various roles. Your knowledge and experiences are valued by the Fraternity and could be applied to the position of a District Counselor, Professional Representative, on district committees, or even as a member of the Supreme Council. Visit the Leadership & Administration page for information on each position. Speaker's List - if you're interested in giving presentations related to alchemy, the history of chemistry or various scientific and professional topics, send an e-mail to speakers@alphachisigma.org! Your information will be shared with chapters that are looking for speakers at chapter-sponsored seminars, District Conclaves, and other events. Attend Fraternity events - the best way to start your involvement is to simply attend professional events held in your area. Attend Conclave or support a local chapter by sponsoring a science outreach program or other event. Donate - give an annual donation. Five percent of your contribution is given to your initiating chapter! Your donation also ensures that you receive all four issues of The HEXAGON, which will help keep you informed of Fraternity news. Stay in touch - keep your contact information updated in our database so any Fraternity communication will make it to you! Follow all of Alpha Chi Sigma's social media accounts and continue to check our website for even more update information.